Revive! sponsored Andrew Jordan is hoping to end the season on a high at the final race of the 2018 Dunlop MSA British Touring Car Championship this weekend at Brands Hatch. Andrew heads into the season finale sitting seventh in the championship standings after a tough meeting at Silverstone last time out, where mechanical issues in two of the three races saw his title challenge brought to an end. That came despite the fact that his West Surrey Racing-run BMW 125i M Sport was one of the quickest cars on track across the weekend, as seen by his strong drive through the field on the less favourable hard tyre to salvage points from the final race. With his hopes of securing a second championship title now at an end, Andrew heads for the famous Brands Hatch Grand Prix circuit with the pressure off, and his focus firmly on challenging at the sharp end of the grid. The 29-year-old has won around the GP layout in the past, whilst the crowning moment of his career came at the Kent circuit back in 2013 when he secured the title on a dramatic final day of racing. Three solid results on track this weekend would go some way towards helping BMW in the battle to secure the Manufacturers’ Championship title, whilst Andrew could also yet earn a place on the end of season podium. He goes into the final weekend of racing just 19 points away from third in the standings; less than the number of points on offer for a race victory. “It was disappointing to come away from Silverstone with my own title challenge at an end, but I’ve put that to one side now and am focused on a strong end to the year at Brands Hatch,” he said. “There is still a job to do in terms of helping BMW to secure the Manufacturers’ title whilst I’m also keen to end my year with more silverware to my name. 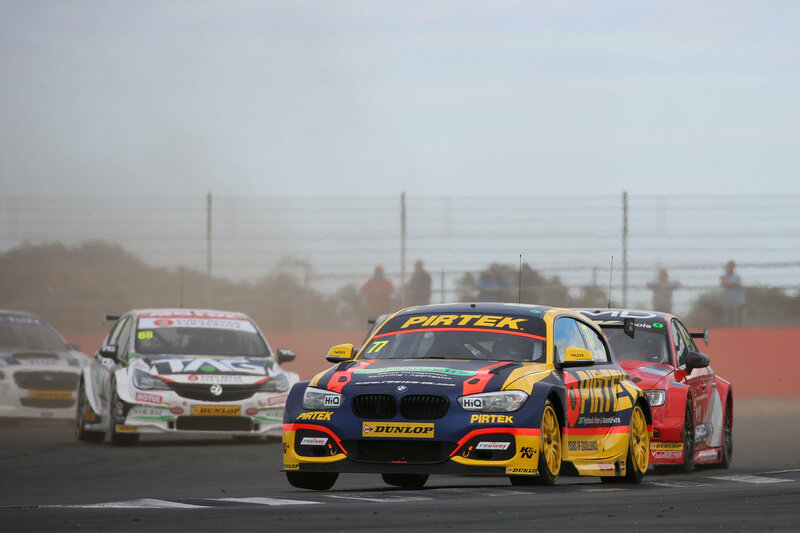 “Throughout the season we’ve had a consistently quick car in the Pirtek Racing BMW and I see no reason why that won’t be the case again this weekend. Having lost a few places in the standings last time out, we’ll carry less success ballast into the weekend, which can only help us in qualifying and race one.